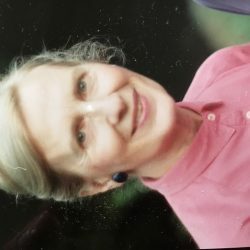 Born and raised on the Island of Montreal, Canada near the St. Laurence River, Joan was the youngest of four daughters of Ellen Wilkinson Hooper of Montreal and Niels Peter Jensen of Denmark. Her father died when she was three years old. Joan married Joseph Paul Tarazewich of Saco Maine after WWII. Together they raised four children in Cumberland Maine, first on Farwell Avenue, then on Blanchard Road. Joan’s friends were her family and her family was her friends. Joan’s positive outlook was about moments – enjoying every moment and staying in the moment. Every day was special. Joan and Joe moved to Durham in 1976 to be closer to their business, Building Materials, Inc., located in Lisbon Falls. It was then that they joined the Unitarian Universalist Church of Brunswick. Joan worked for the State of Maine at Pineland. 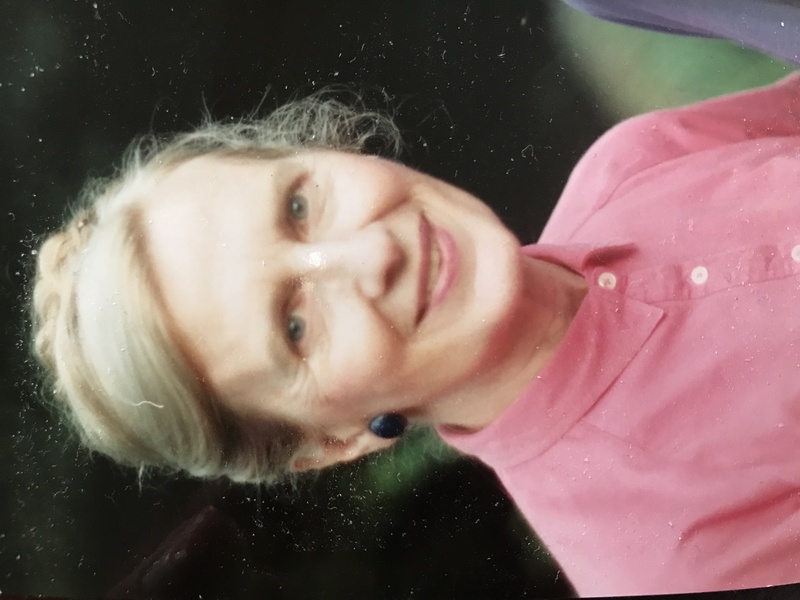 Joan volunteer interests included Amnesty International, the Durham Eureka Community Center, Girl Scouts, Literacy Volunteers, Tedford House and the League of Women Voters, When Joe passed in 1999, Joan moved to Brunswick and then to The Highlands in Topsham. Joan’s interests and delights included architecture, art museums, barns, books, canoeing, chocolate, Christmas, daughters, Denmark, dessert, Drake University, encyclopedias, family, friendships, french fries, grandchildren, hearts, horses, ice cream, jokes, kites, magazines, meditation, museum gift shops, naps, nephews & nieces, NPR, Obama, onion rings, pads of paper, painting, parties, peonies, photographs, porridge, public television, puns, quips and quotations, repurposing, singing, sons-in-law, soup, storytelling, sunsets, TJ Maxx, whistling, wildflowers, words and writing, Xmas fairs, XXXs & OOOs, yard sales, yoga, Zen. Joan is survived by three daughters Suzanne Marshall (Mike) of Bryant Pond, Dianne Tarazewicz of Sabattus, and Mary Baumer (Jim) of Brunswick. Three devoted grandchildren Joann Bisson (JT) of Portland, Aja Darak (Nick) of Topsham, and Andrew Higgins (Karyn Reidman) of Durham and two great-grandchildren, Willa and Cleo Darak. Joan was predeceased by sons Joseph Jr (1952), Peter (1978), and grandson/best friend Mark Baumer (2017). Joan’s philosophy was happiness has much less to do with external circumstances than it does with an internal frame of mind. Until further notice, celebrate everything. Remember the happy times!